"As Clean And Clear As Could Be"
Bryston's new BDA-3 adds new capabilities and technology compared to the best-selling, award winning BDA-2 for even more capability and the top flight performance that Bryston is known for. The Bryston BDA-3 is different from prior Bryston DACs in that it adds DSD playback. The BDA-3 can decode up to DSD-256 through the asynchronous USB inputs and is the first DAC on the market that can receive DSD signals over HDMI – via a Blu-Ray player playing an SACD, for example. 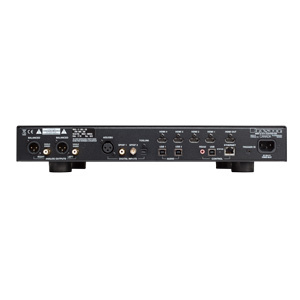 For maximum flexibility, the BDA-3 has an astonishing ten discrete inputs including four 2-channel HDMI, asynchronous USB, AES/EBU, TOSLINK, and digital coax. It also includes Bryston's network module, which facilitates control via TCP/IP and RS-232 – a must for integration with modern smart home platforms. 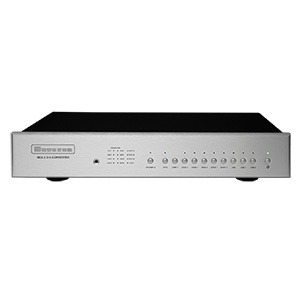 With the BDA-3, music aficionados get the very best playback of high-resolution digital files including DSD with the additional flexibility of being able to connect a television or Blu-ray player to their audio system. The Bryston BDA-3 utilizes a brand new decoding chipset that can decode up to 384 kHz/32-bit PCM music and up to DSDx4 natively. Each format is processed in its native resolution, preserving absolute bit-perfect signals all the way to the analog outputs. Additionally, Bryston's ultra-precise re-clocking circuit reduces jitter to nearly immeasurable levels. Bryston's proprietary analog section is completely free of integrated circuits (ICs) that limit the bandwidth and dynamic range of so many competitive DACs. 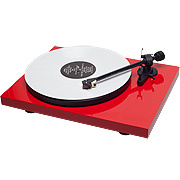 "From first note to last, its sound is subjectively as clean and clear as could be. The build quality and design are typical Bryston, and that means essentially bulletproof," reports Carlo Lo Raso, Secrets of Home Theater and High Fidelity, January 15, 2018. "If you want to hear it all, and I mean every last bit of it, plunk down your pocketbook on a Bryston BDA-3. You will not regret it." "As Good as Digital Can Get"
"With its extremely low levels of noise, harmonic and intermodulation distortion, and its superb resolution, the Bryston BDA-3 offers measured performance that is as good as digital can get," notes John Atkinson in Stereophile. Also in Stereophile, Larry Greenhill reports, "It delivered the superbly effortless, delicate, subtly revealing, tube-like analog output from a variety of digital file formats and sample rates... 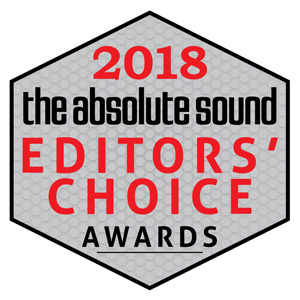 I had no choice but to buy the review sample, and I recommended that the BDA-3 be listed in Class A+ of Stereophile's Recommended Components." "It became clear that the newer design rendered instrumental timbres with more substantive physical presence. 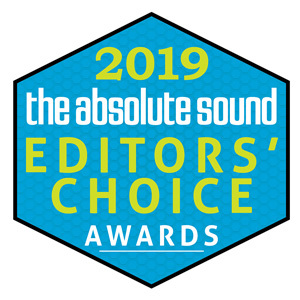 Every instrument simply exhibited fuller, weightier solidity, independent of the frequency range covered," observes Karl Schuster, The Absolute Sound , October 24th, 2017. The BDA-3's low-level detail recovery, musicality, and neutrality are all reference caliber. With countless songs, Bryston's flagship DAC re-created the musicians' intentions with far greater clarity, insight, and perspicacity than I've ever heard before," raves Douglas Brown in his review for NOVO. "The new flagship BDA-3 DAC has the ability to bring out the best in one's favorite music and deliver the emotion in one's most impassioned compositions. Throughout this review, I enjoyed the clean, crisp details reproduced by the BDA-3," notes The Computer Audiophile, September 1, 2016. 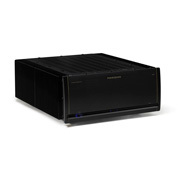 "Feed the Bryston BDA-3 high resolution material and be drawn into wonderful performances. It has been my preferred DAC for the past several months after I purchased it because it offers an overall sound quality that is without observable character," observes Jerry Seigel, 10 Audio, August 16, 2017. Great sound quality starts at the BDA-3's input. Each electrical input is transformer isolated to prevent ground noise from polluting the signal. PCM signals are then reclocked to virtually eliminate jitter. Because Bryston values accuracy above all, the BDA-3 processes all digital signals at their native rate. With the exception of user-selectable upsampling, the BDA-3 does not convert anything to another format or to another sample rate. Signals drive a dual-mono pair of ultra-high-end DAC ICs. Each IC decodes one channel and operates in balanced mode to achieve the lowest crosstalk and highest dynamic range possible. From the digital chipsets, audio flows to Bryston's proprietary discrete operational amplifiers to provide the most linear, neutral, and clear output possible. Bryston never uses ICs in the analog signal path. The two USB inputs are both asynchronous. This means that they control the flow of audio from your source component to eliminate the timing irregularities that can otherwise plague digital files streaming form your computer or other devices. Each input is fully USB Class 2 Audio compliant. 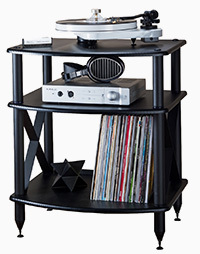 The BDA-3 isn't just a high-end audio solution for hi-fi listening. 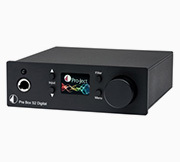 It's also a killer DAC for use in home theater and other applications. The two-channel HDMI inputs are available to permit connection from a Blu-ray player or other multimedia sources, letting you enjoy movies and even SACD audio to the max through the HDMI inputs on the BDA-3. The BDA-3 is ready for a wide range of source components. If offers ten digital inputs, including four HDMI, two asynchronous USB, one AES/EBU, one BNC, one coxial RCA, and one Toslink optical in. On the output side, it offers one balanced XLR stereo out and one unbalanced RCA stereo out. It provides HDMI video pass-through with audio out and 4K video pass-through. The BDA-3's inputs are selected by individual front panel buttons. A digital signal streams data at over 1 million bits per second and requires a bandwidth of over 24 million Hertz for 384k / 32 bit PCM (cycles per second). At these high frequencies it is very important to maintain the quality of the signal by having the correct termination at the digital inputs. The BDA-3 provides for this termination in the best possible manner using high quality devices called impedance matching transformers. 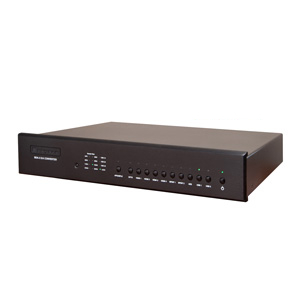 For integration with your other gear, including your home automation system, the BDA-3 boasts fully featured RS232 and TCP/IP control protocols plus IR. The quality of power in an audiophile class piece of equipment is imperative for superb performance. The BDA-3 uses two independent power supplies. Each stage in the digital chain is also independently regulated to prevent any interactions and to provide rock solid power supplies for any up-sampling/over-sampling process. The DAC chips also require a very clean digital power supply if they are to function at optimum levels. The DACs requires a high quality analog power source, too. The analog signal is at its lowest magnitude coming in and going out of the DAC, so any added noise or distortion will be greatly amplified by later stages. Again a separate, heavily regulated and filtered power supply with carefully routed grounds is provided. This sort of care with the power supplies is one of the reasons for the superior sound of the BDA-3. Getting the digital side of the equation correct is only the start. Once the signal leaves the DAC, it is buffered and increased in strength by operational amplifiers. In the Bryston BDA-3, the op-amps are constructed from only discrete devices (individual transistors, resistors, and capacitors) instead of the commonly used integrated circuits. The use of discrete devices allows the design of a circuit that exactly matches the needs of the DAC. More importantly, the use of discrete operational amplifiers lets us design extremely low distortion and highly optimized output sections using carefully chosen components in an ideal circuit layout to prevent noise, preserve wide bandwidth and exceptional linearity regardless of partnering preamplifier. 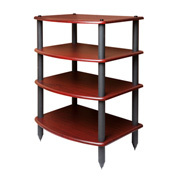 The BDA-3 is available with 17"-wide or 19"-wide dress panels in black or silver finish. Bryston's five-year warranty on all digital audio products testifies to the superior build quality. Output noise: –140dB balanced, 20Hz– 20kHz, ref. 1V. 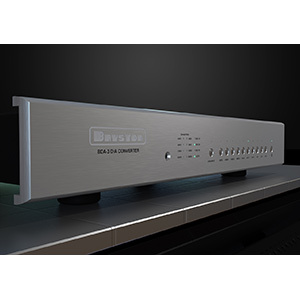 "BDA-3 DAC surpasses the high-value performance standard set by the [Bryston] BDA-2, enables inexpensive HDMI-equipped disc players to function as premium source components, and adds exceptionally engaging DSD playback to its potent mix of virtues." "With its extremely low levels of noise, harmonic and intermodulation distortion, and its superb resolution, the Bryston BDA-3 offers measured performance that is as good as digital can get." "It delivered the superbly effortless, delicate, subtly revealing, tube-like analog output from a variety of digital file formats and sample rates... 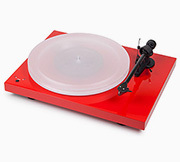 I had no choice but to buy the review sample, and I recommended that the BDA-3 be listed in Class A+ of Stereophile's Recommended Components"
"It became clear that the newer design rendered instrumental timbres with more substantive physical presence. Every instrument simply exhibited fuller, weightier solidity, independent of the frequency range covered." 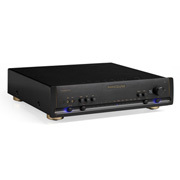 "The Bryston BDA-3 DAC is almost the perfect nexus of sonic and tactile excellence. You could spend more, but why?" "The Bryston BDA-3 is an exceptionally transparent piece of audio gear. It builds on the already impressive performance of the previous generation BDA-2 and bests its measured performance in most respects. It also improves on its predecessor's feature set by having four HDMI inputs that allow DSD bitstreaming and two asynchronous USB inputs. This puts the BDA-3 in rarified company already. That, however, would be meaningless if it didn't sound good and wasn't built to last." "From first note to last, its sound is subjectively as clean and clear as could be. The build quality and design are typical Bryston, and that means essentially bulletproof." "While $3495.00 is not just pocket change these days, it's a worthy price for a piece of gear like this." "If you want to hear it all, and I mean every last bit of it, plunk down your pocketbook on a Bryston BDA-3. You will not regret it." 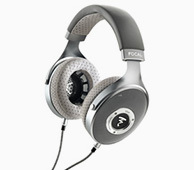 The BDA-3's low-level detail recovery, musicality, and neutrality are all reference caliber. With countless songs, Bryston's flagship DAC re-created the musicians' intentions with far greater clarity, insight, and perspicacity than I've ever heard before." "The new flagship BDA-3 DAC has the ability to bring out the best in one's favorite music and deliver the emotion in one's most impassioned compositions. 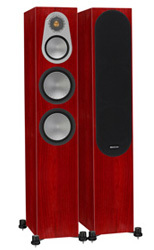 Throughout this review, I enjoyed the clean, crisp details reproduced by the BDA-3." 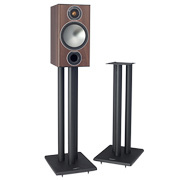 "Feed the Bryston BDA-3 high resolution material and be drawn into wonderful performances. It has been my preferred DAC for the past several months after I purchased it because it offers an overall sound quality that is without observable character."